At the Last Supper and on the way to the Garden of Gethsemane, Jesus discoursed long and lovingly with His Apostles. During His Sacred Passion, however, He spoke rarely and briefly. Indeed, it may well be that the silences of Jesus during His Passion were as eloquent and impressive as His words. During the three hours that He was nailed to the cross, Jesus interrupted long periods of silence by speaking seven times. These utterances are known as His Seven Last Words. We are fortunate that there were those beneath the cross who could recall and record for posterity these last words of Jesus, as they were a fitting climax to His public ministry. The first word of Jesus from the cross was almost certainly: “Father, forgive them, for they do not know what they are doing.” St. Luke alone records it (23:34). There can be no doubt that this passage is authentic. It is verified not only by a sound manuscript tradition but also by the example of many early martyrs who imitated Christ’s forgiveness of His enemies. It is difficult to determine the exact time at which Christ’s first word from the cross was spoken. Some think it was while the soldiers were nailing Him to the cross. One reason for this is that St. Luke relates the incident immediately after stating that they crucified Christ. Another is that our Lord uses the present tense — “what they are doing” — in His prayer. Neither reason is conclusive. The Evangelists are notably indifferent to exact chronological order. And it is unlikely that Christ referred to the soldiers nailing Him to the cross. It was too obvious that they did not know what they were doing. They were carrying out orders; they were fulfilling a duty imposed on them by proper authority. As pagans or Samaritans, it is unlikely that they had come in contact with Christ before. We think that this first of the Seven Last Words was spoken just after Jesus had been raised on the cross and as He looked out over that sea of hostile faces turned up at Him. Christ’s words must have had an electrifying effect. These people had seen many criminals crucified. They had seen them resist their executioners and attempt to escape. They had heard them howl and scream with pain. They had listened to them curse their tormentors and snarl at them in impotent rage as they spat at them. This article is adapted from a chapter in The Last Hours of Jesus. Jesus had taught forgiveness. “Love your enemies,” He had said. “Do good to those who hate you, and pray for those who persecute and calumniate you” (Matt. 5:44). On Calvary, He added to His verbal teaching the power of His example. Who Did He Pray For? For whom did Jesus pray? He prayed for those who were responsible for His condemnation and crucifixion. Surely in the front rank of these were the leaders of the Jews — the chief priests, Scribes, and ancients. It was their duty to recognize Christ’s claim to be the Messiah and Son of God, to examine His credentials, and to accept and proclaim Him as such. Yet they opposed Jesus throughout His public ministry. On many occasions they had plotted to put Him to death. They had finally laid hands on Him, condemned Him before their own tribunal, and brought about His execution by threatening the Roman procurator with a denunciation to the emperor. They had acted out of hatred and envy and malice. They were guilty and needed forgiveness. Yet even for them Christ could plead ignorance. It was a culpable ignorance; they could and should have known better. But at least they did not have a full and immediate awareness of the enormity of what they were doing. Speaking of the crucifixion of Christ to the Jews in the Temple area but a short time later, St. Peter said: “I know that you acted in ignorance, as did also your rulers” (Acts 3:17; cf. Acts 13:27; 1 Cor. 2:8). To a lesser extent and in varying degrees, the Jewish people who had joined their leaders in persecuting Christ shared their guilt. Many had heard Christ’s teachings and had witnessed His miracles. Some may even have been cured by Him. They permit­ted themselves to be led astray to such an extent that they had helped put pressure on Pilate to secure Christ’s condemnation. Christ had said earlier: “If I had not come and spoken to them, they would have no sin. But now they have no excuse for their sin. . . . If I had not done among them works such as no one else has done, they would have no sin” (John 15:22, 24). Leaders and led alike shared in the sin, but for the led particularly, ignorance, though culpable, was an extenuating circumstance, and on the cross Christ recalled it in His prayer to the Father for forgiveness of His enemies. Christ’s prayer must have included Pontius Pilate, too, as he had played an unjust part in Christ’s condemnation and execution. On three separate occasions he declared Christ innocent, but when faced with the threat of denunciation to the emperor, he capitulated and condemned Him to death. Pilate acted unjustly and against his conscience. Nevertheless, Christ’s plea of ignorance would apply to him too, as he did not recognize Jesus as the Messiah and the Son of God. He quite evidently admired Jesus and respected Him; he even had a vague superstitious fear, from his wife’s dream and from references to Christ’s claim to be the Son of God. We can be sure, however, that he did not appreciate the awful implications of the unjust sentence he passed on our Lord. Jesus was God as well as man. On the cross, He was offering a sacrifice for the sins of mankind. In a very definite sense all sinners had, therefore, a part in nailing Jesus to the cross. It is not too much, then, to say that Jesus’ prayer extended to all sinners. And of sinners, too, it can be said that “they do not know what they are doing,” because they do not have a full realization of the malice of sin. If they did, they would not sin. Jesus’ prayer took effect almost immediately. It must have made a tremendous impression on all people of goodwill who heard it. A short time later, one of the robbers crucified alongside Him confessed belief in Him. At the moment of Christ’s death, others were converted, partly, no doubt, because of the marvels that occurred at that time. The centurion in charge of the crucifixion declared Jesus to be a just man. The people who had come out of curiosity began to beat their breasts as a sign of repentance (Luke 23:48). Later, large numbers of the people became Christians (Acts 2:41; 4:4), among them many priests (Acts 6:7) and Pharisees (Acts 15:5). This article is adapted from a chapter in Fr. 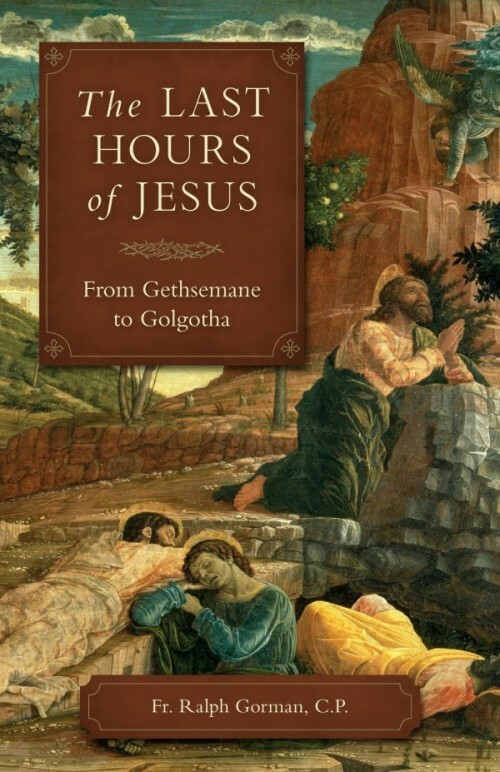 Gorman’s The Last Hours of Jesus: From Gethsemane to Golgotha. It is available from Sophia Institute Press.